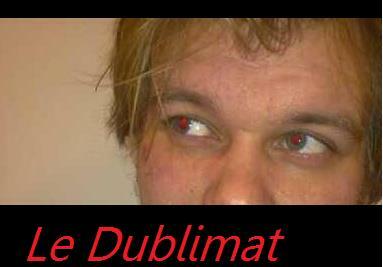 The Dublimat: Place for a Finnish bar in Dublin? Place for a Finnish bar in Dublin? I was thinking about posting an entry about the Lithuanica in Blanchardstown. But there is also a another need. Lithuanica sells great rye bread of sorts, but what this country needs, at least for the Finnish involved, it's a bar where you're ordinary shot will not be Jägermeister. Don't get me wrong, I have had a few of those, and Jäger is good. Caramel-colored vodka with some brandy or cognac in it. Vodka and Turkish Pepper mixed togerher. Vodka is supposed to be Koskenkorva, a Finnish spirit, which has no comparison anywhere around the world, ever, period. It's just that bad. Fisu is the same kind of mixture than Salmari, just change the Turkish Pepper to Fisherman's friend. Note from a bartender: if you know how to make Salmari, you should use less of Fisherman's friend. Same as previous two, except this time the mixture with Vodka is Salmiakki, or as we scientific people call it, ammonium chloride made for eating. Also the Turkish Pepper has some of it inside. It's poisonous in large amounts, but hey, paraphrasing Queen: Too much ammonium chloride will kill you. Other things are well covered here. One thing still keeps me curious. It is that we, in Finland, at least us professionals, think that Kopparberg is the most least attractive cider in the world, as it is so sweet and so full of sugar, that bars sell it here as an exotic option. More of an exotic substitute for cider. But hey, nobody is a prophet on their on land. Meaning that Bulmers is usually sold in Scandinavian countries as the prestigious Cider, that should be consumed with at least a pride of getting treated like a royal. And it usually costs about 5 euros per third of a liter in a bar. In Ireland you get the whole pint for that price, and you still get out with a little bit of change. So get rid of that shite and bring in the good stuff. Or at least, never, ever, take Bulmers away.